The Port of Melbourne is a fascinating place, full of huge machines moving around all day, every day.Enormous ships come from all around the world to dock here and bring items such as clothing, sporting goods, electronic equipment, cars, exotic fruits and furniture. Just so they can be sold in our local stores and make it into your home.These ships also transport items produced in Australia for customers overseas from China to Chile.The resources below offer ways for you to learn more about the Port of Melbourne and how it affects our lives, our economy and our future.Follow the links below. 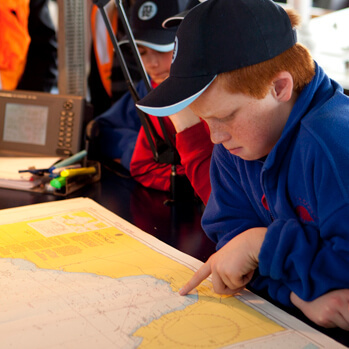 From Ship to Shop takes your students on an interactive journey to learn about the traded goods and commodities that pass through the Port of Melbourne .